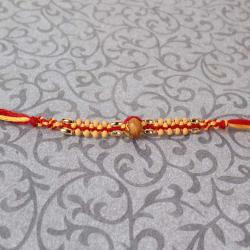 Product Consists: Simple Rudraksha Rakhi nicely tied on a Rakhi Card. 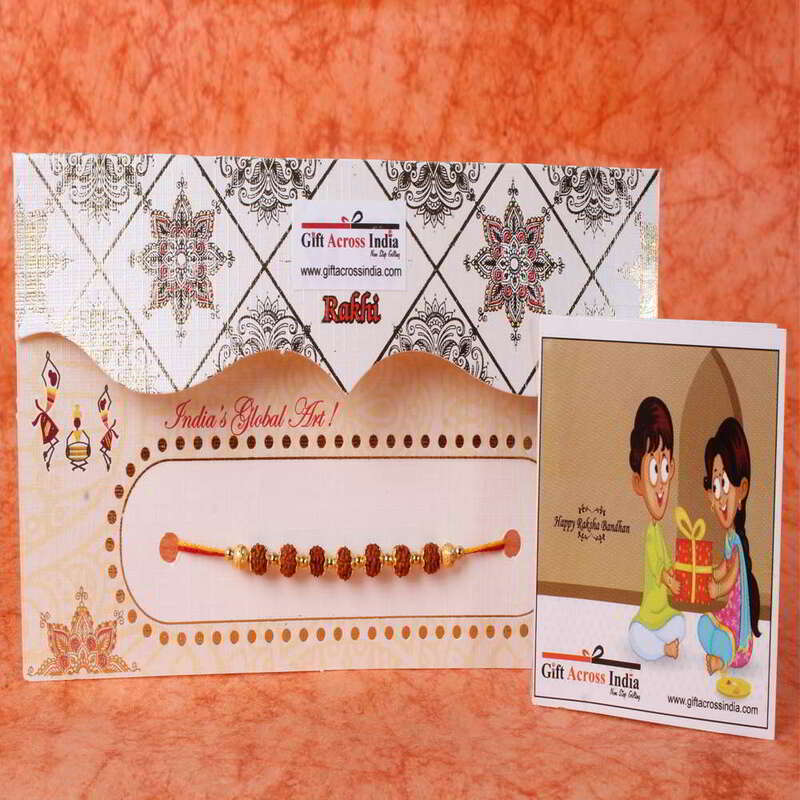 Tie this delicate Rakhi thread on your brother's wrist this will gave an amazed look then see the magic of Rakshabandhan come alive. This is the most important day for a brother and a sister to show their love, respect and care for each other. 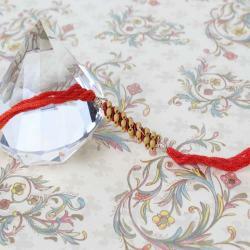 Rakhi is the most memorable occasion for all siblings. 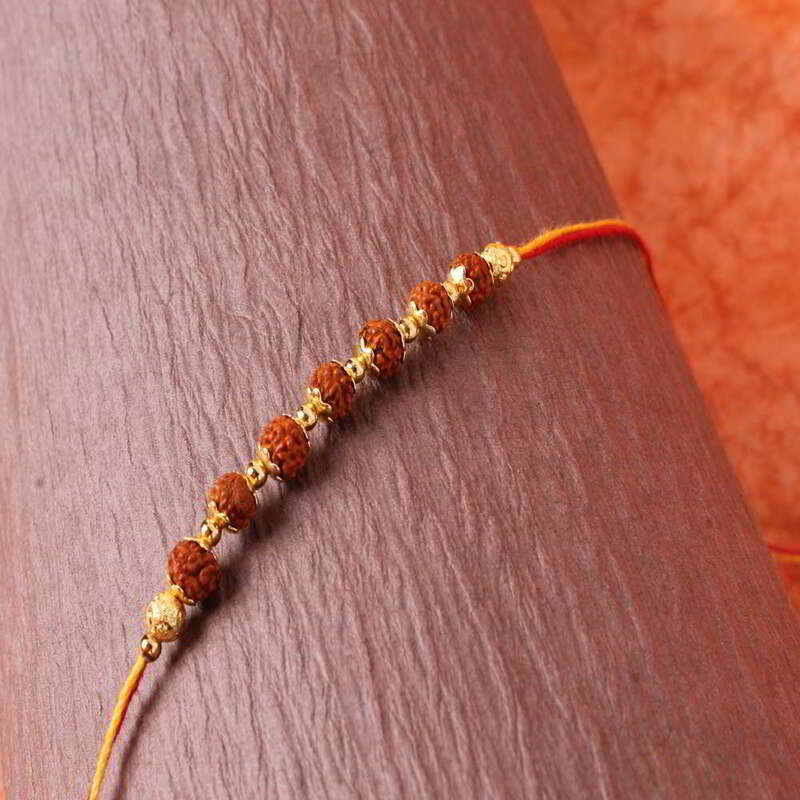 By gifting this Rakhi you are adding meaning to the celebrations of the festival of Raksha Bandhan and for sure this will looks amaze and fabulous on your brothers wrist. 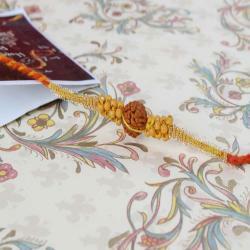 Product Includes: Simple Rudraksha Rakhi nicely tied on a Rakhi Card.